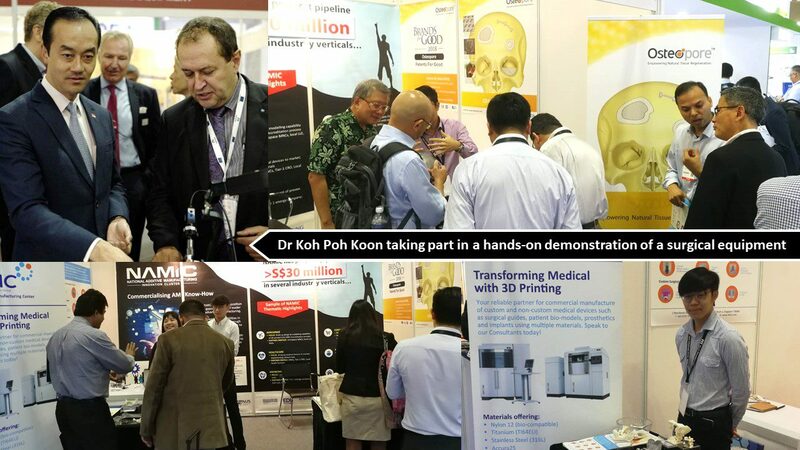 Companies need to work together to grow the medical technology industry, Senior Minister of State for Trade and Industry Dr Koh Poh Koon said at the opening of the Medical Manufacturing Asia 2018 and Medical Fair Asia 2018. NAMIC is among one of the exhibitors at the Medical Manufacturing Asia 2018, who participated with 2 of its start-ups – Osteopore and UCT AM Centre (UAMC). Osteopore is the world leader in regenerative implants utilising 3D printing to fabricate biomimetic microarchitecture with bioresorbable materials that empowers natural tissue regeneration. While the theme of UAMC is transforming medical with 3D printing. Their services include manufacture customised surgical guides, biomodels, implants and medical device prototype for R&D. Held from 29 to 31 August in Marina Bay Sands, the exhibition showcase innovations and technologies from 1,220 exhibitors from 62 countries.